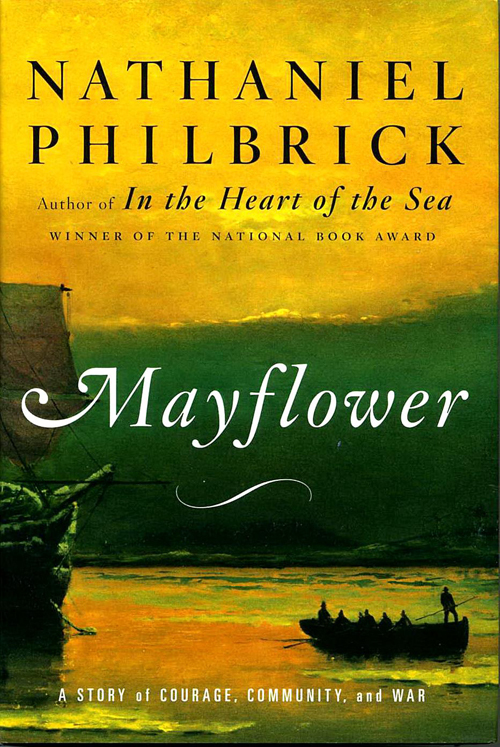 Christmas brought an unexpected gift from one of the treasured distant cousins–a copy of Mayflower by the brilliant writer and historian Nathaniel Philbrick. It’s an absolute treasure of a book particularly for anyone with Puritan roots. As I read it I underscored each reference to Taunton and any other clues I thought might shed some light on George Hall and his family in Taunton in the 1630’s up through the end of the 1660’s. Some of you will be familiar that George died in 1669 in Taunton. We also know that George was a large landowner in Taunton. 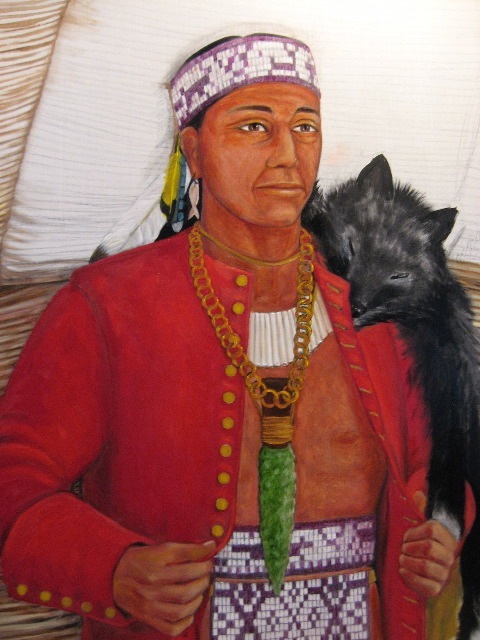 Though I had often wondered about the Native Americans who lived among the Puritans, the only story I’d ever actually run across was the story of Ebenezer Hall and his unfortunate demise in Mantinicus Island. But imagine my delight and surprise, when I at last finished Philbrick’s Mayflower and began to review my own extensive research of George Hall set against my new knowledge of that particular Puritan era. There in the published excerpt from Richard Brainard Hall’s Halls of New England was this passage! George Hall and his wife Mary [Family i), were the ancestors of the Halls of Taunton. They emigrated, it is said, from Devonshire County, England, in 1636-7. George Hall is recorded as proprietor of land in Duxbury, Mass., in 1637, about the date of his settlement in ” Cohannet,” — Taunton ; he was one of the forty-six original proprietors of the first territorial ” purchase ” of the Indian Sachem Massasoit, including a tract of eight miles, (an oblong, square, being the present territory of Taunton, Berkley, Raynham, extending to Mansfield) ; he had a twelve acre share, in connection with Richard Williams, John and Walter Dean and others, who had similar shares, spanning Taunton river, on the banks of which they erected their first humble dwellings and were neighbors and friends for lifetime. I’d just spent the last week reading about the Native American leader (or “sachem”), Massasoit, and, he did, indeed, sell land to the Puritans. He also entered an agreement with the folks at Plymouth that helped ensure a peaceful and supportive beginning. But that is just the beginning of the story. And here is his picture, which I love. If your soul dictates that you dig into your own ancestral roots I highly recommend that you read Mayflower. Don’t let any voice in your head say, “But I had no ancestors on the Mayflower”. 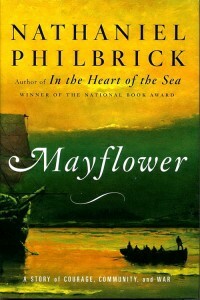 Again, Philbrick only begins with the ship’s (amazing and harrowing) journey. You may find that the book unsettles what we were taught in school, but this book is extremely well researched and was nominated for the Pulitzer Prize. Without a doubt Philbrick is a true scholar and master storyteller. I could hardly put the book down, and that’s saying a lot of a history book full of hardship and battle, don’t you think? Leave comments after you read, will you? And let us know if you find your ancestors among its pages. Mayflower thinks the connection of Rebeckah Davis (m. to Lemuel Allis) may be right because Charity Hall/Isaac Davis do have many relatives & connections in Somers, but still investigating since dates are off about 10 years for her birth/death dates. Really glad to see you post this! Feeling closer to some answers, especially since Cheryl Hall just also told me about the Halls of New England group that just opened up on Facebook.